Expand search to view more listings in and around Amherst. 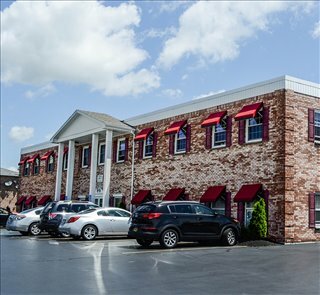 See more offices in and around Amherst. With 1 office available in Amherst right away, Offices.net can help you get in to office space that is perfect for your business' needs. Our team has in-depth knowledge of the local office market which enables us to find the property you require from a wide range of high quality locations and office options. Many of our offices offer simple, short term and flexible rental contracts, so that you can have the benefits of an extensive range of amenities and a prestigious business address in Amherst. Offices.net is here to provide a wide range of competitively priced, professional, fully-equipped office space in Amherst, New York, on terms to suit your business' needs. You will be spoilt for choice when it comes to impressive business services and professional support services in Amherst. Our aim is to ensure that the entire process is as easy as possible for our clients. A number of the office buildings provide manned reception, state-of-the-art print and scanning facilities, internet and network wiring, telecommunications set up, and furnishings. Some of the business centers also provide on site IT support, meeting rooms, 24/7 access and other professional services and amenities. All you need to do is choose one of the well located Amherst offices for rent listed above. The professional office suites, shared work space and virtual offices on Offices.net are situated in prime Amherst business areas, and are available to rent on competitive, flexible terms to suit your exact business requirements. If you don't currently need business space in Amherst, we also have a comprehensive selection of executive office solutions, hot desking, collaborative work spaces and shared office space available for rent in prime business locations throughout New York.